'Hey honeymooners! 99% discount for all love birds! 100% Thai silk. You like, you buy!' I suppose since I fell for such an advertisement, I deserved the junk I bought. Every world traveler has at least a couple stories of getting swindled, taken advantage of, or being the victim of some sort of scam. I myself have several stories…The more I travel the more I think I can outsmart thieves and con-artists. Yet atrocious living conditions around the world promote the evolution of the corrupt craft. The majority of people in underdeveloped or developing countries have never left their hometown let alone their country or continent. Most people couldn’t dream of owning the things you own or having the opportunities you have. The average western traveler represents unfathomable wealth to a good portion of the world’s population. We travel to distant lands by airplane, walk around with our digital cameras, wearing squeaky clean white tennis shoes, we stay in four-star resorts, and eat splendid and copious amounts of local cuisine. 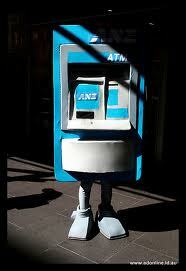 Tourists look uncannily like walking ATM machines. In doing so, it is inevitable that eventually someone with selfish motives will use you and your money to better him/herself. The trick is to be cautious yet not afraid. Be suspicious but trust that people can be hospitable and have your best interest at heart. Walk with a purpose but don’t miss all the wonders of your trip because you’re a jumpy horse, scared of unsavory interaction. Luckily I have had only minor experiences with scams abroad; mostly fraudulent products, dishonest taxi drivers, deceitful vagrants, and crooked companies demanding upfront payment for services I never received. To name just a few instances...in Rio de Janeiro I purchased a hang gliding tour that never materialized. I've bought many a 'treasure' that turned out to be trash. I’ve been victim to multiple taxi scams where I was quite literally taken for a ride; I received the wrong amount of change, was taken far out of the way while the meter runs, was convinced that the meter was broken, etc. People will pull out every trick in the book to make a buck or two…or more. As much as you mistrust the rogue taxi drivers and charlatan vendors, be equally wary of those trying to ‘protect’ you from scams. My best friend recently traveled to Mexico City. Preparing to depart, she gathered pricing options for transportation back to the airport. The hotel van was three times the price of a registered taxi- for the same route, for the same mileage. Hotels use the fact that tourists are cautious and offer ‘safer’ options at an extorted price. She took the taxi and ended up at the airport, safe and with more money in her pocket. I’m of the Lockean persuasion on the state of human nature. People are both good and bad, most of them at the same time. Humans are driven by emotion and reason. They act selfishly but are also naturally altruistic. You win some and you lose some. For every scam you encounter abroad, your life is filled with the reality and blessings of being privileged to wide travel. While petty crime can certainly put a damper on an otherwise glorious time abroad, take precautions to prevent yourself from becoming a victim. I hate to get all Rick Steves on you but remember that nearly all crimes suffered by tourists are non-violent and avoidable. Be aware of the pitfalls of traveling but relax and have fun. Don’t worry your time away or let a run-in with petty crime ruin your vacation. My first guidebook I ever purchased was Rick Steves Europe through the Back Door. Though I’m the polar opposite of a ‘Rick Steves’ traveler, he does have some great tips on outsmarting thieves. Check out his online article on the subject. As good ol’Rick recommends, ‘a money belt is your key to peace of mind’. In addition, a good attitude and taking precautions to protect yourself will give you the power to travel carefully, not fearfully.